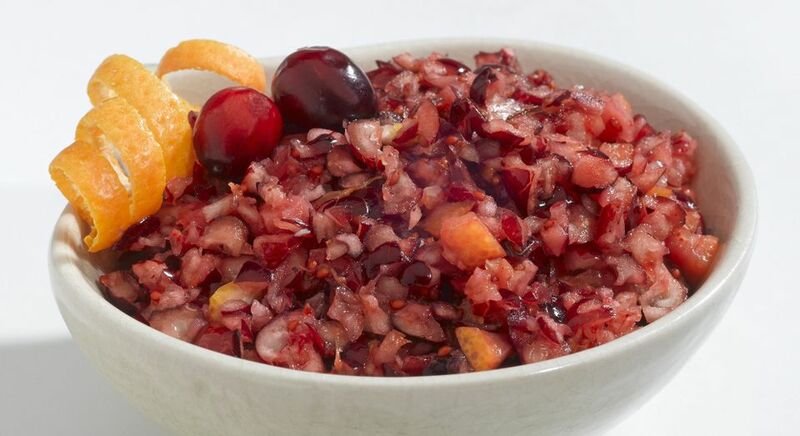 This is an easy cranberry relish recipe using fresh or frozen cranberries and fresh orange. This relish is a delicious accompaniment to a holiday bird or you can serve it with pork or wild game. Your family and guests will certainly be impressed with it's delicious flavor. If you're looking for something warm and closer to a sauce you can make this relish in the slow cooker. Finely chop cranberries in food processor or put through a meat grinder. Peel orange, without too much of the white pith, reserving peel; remove seeds and white membrane. Put orange and orange peel through grinder or chop in food processor. Mix all ingredients together and store in covered container in the refrigerator. Refrigerate several hours before serving.